Home>> General News • Phyllis Tuckwell >> Phyllis Tuckwell’s Music in the Park tickets now on sale! Madness tribute act The Los Palmas 6 will be playing at this year’s Music in the Park. Get ready to party, because Music in the Park is back and tickets are now on sale! Buy yours now and get ready to dance the weekend away to a fantastic selection of music through the decades with some top tribute acts. 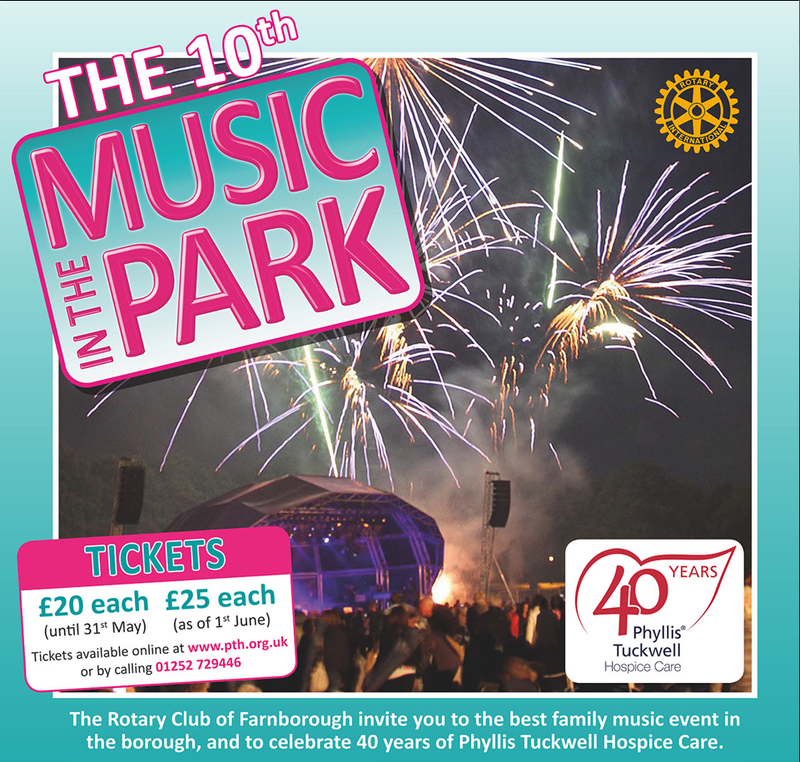 The weekend will be one to remember, as not only is it the 10th Music in the Park, but this year is also Phyllis Tuckwell’s 40th anniversary and the Rotary Club of Farnborough’s 60th – so make sure you don’t miss out on this triple celebration! Music in the Park is a biennial music event that raises money for Phyllis Tuckwell Hospice Care, a local charity which provides supportive and end of life care for patients and families in West Surrey and North East Hampshire, who are living with an advanced or terminal illness, such as cancer. It will take place on Saturday 13th and Sunday 14th July, at the King George V Playing Fields in Farnborough. Saturday night will feature music through the decades, from The Backbeat Beatles, T.Rextasy and top Madness tribute act The Los Palmas 6, while Sunday will see The Magic of Motown return by popular demand, along with a special guest performance from chart toppers Hot Chocolate! Gates will open at 5pm on both days, ready for the concert to start at 7pm, and a grand fireworks finale at 10.30pm will round off both evenings. Tickets are now on sale and can be purchased from Farnborough Leisure Centre, Woods the Butcher (North Camp), and Phyllis Tuckwell shops in Aldershot, Ash, Camberley, College Town, Farnborough, Farnham, Fleet & Frimley. You can also buy them online at www.pth.org.uk/event-diary. If you’re quick you can catch the early-bird price of £20; after 31st May this will go up to £25 and tickets on the day will be priced at £35. Under 12’s are free and all children must be accompanied by an adult.